Hans Christian Andersen Carriage Co. Imagine a Bavarian village where a horse-drawn carriage leads you along cobblestone streets. As you make your way through town, you can smell the Bratwurst at Munchen Haus, take in the surrounding beauty of the Cascade Mountains, and listen to the clickety-clack of our horses, Sven, Gandalv & Aksel, as we transport you to a time and place where fairytales just might exist. Hans Christian Andersen Carriage Company is Washington's Premiere Horse & Carriage Experience. Let us make your upcoming vacation or special event feel fit for a fairytale. Escape to Leavenworth with us today. 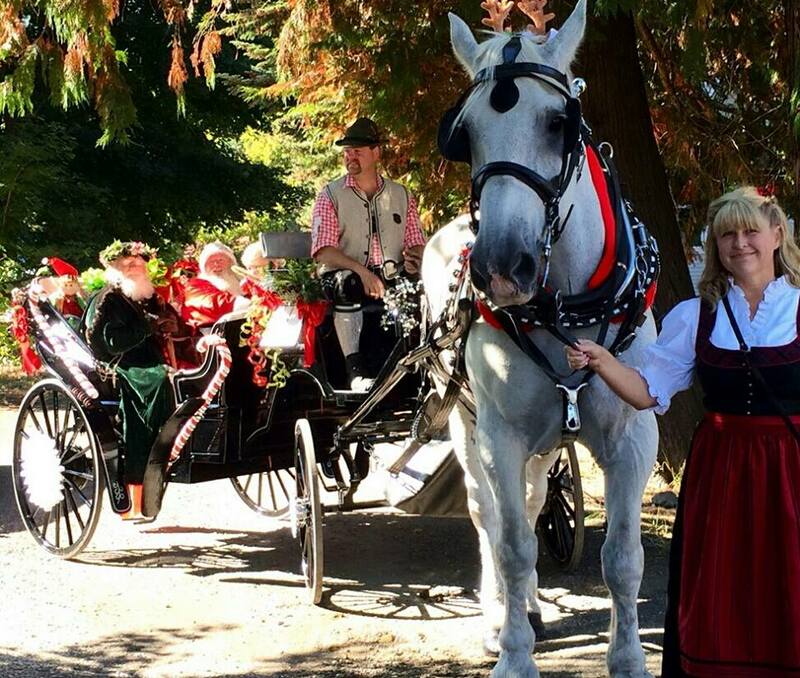 HC Andersen Carriage Co is Washington's Premier Horse & Carriage Experience, offering a wide array of services from horse-drawn carriage rides through downtown Leavenworth to weddings and other special events. We're currently booking for 2014 and 2015, so please inquire early to reserve your date.